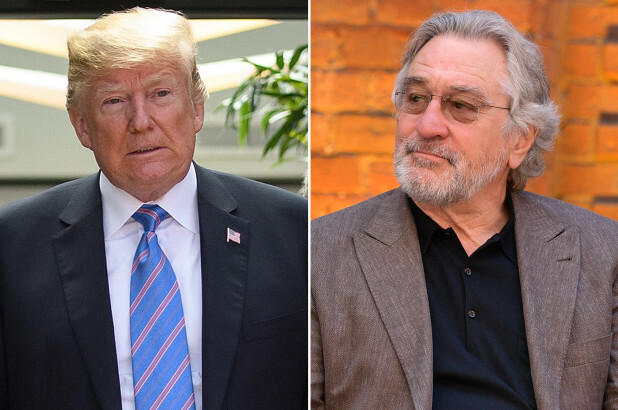 US president Donald Trump slammed veteran Hollywood actor Robert De Niro on Wednesday calling the film star "a very low IQ individual". In a series of tweets aboard the Air Force One as he returned to the US from Singapore on Tuesday night after his historic meeting with North Korea's Kim Jong-un, Trump said: "Robert De Niro, a very low IQ individual, has received to many shots to the head by real boxers in movies. I watched him last night and truly believe he may be 'punch-drunk'," CNN reported. "I guess he doesn't realize the economy is the best it's ever been with employment being at an all time high, and many companies pouring back into our country. Wake up Punchy!" Introducing a performance by Bruce Springsteen on Sunday night at the Tony Awards, the actor railed against the American president. "First, I wanna say, 'f*** Trump'," De Niro said in the bleeped telecast. "It's no longer 'Down with Trump', it's 'f*** Trump'." His comments received a standing ovation in Radio City Music Hall.